There is a distance for everyone! Half marathon, 10k, 5k, 1 mile and kids dash! Thanksgiving Day has never been more fun! Did you know that ALL distances are stroller-friendly and pet-friendly - keep the family together on Thanksgiving morning! All events start and finish at Wakefield High School in North Raleigh. The Skinny Turkey Half Marathon course will run through Wakefield Plantation and Wake Falls neighborhood. The course is rolling with a few hills that are sure to test your fitness. The course is very scenic, especially through the Wake Falls neighborhood. 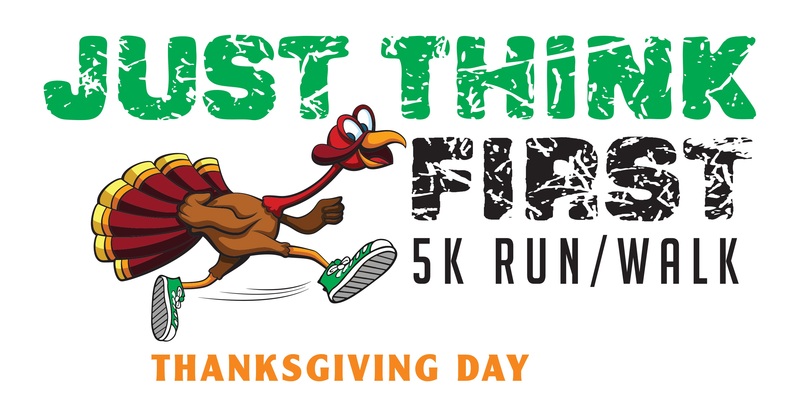 The JUST THINK FIRST 5K Road Race is the major fundraiser for the Just Think First Program. The event helps fund teaching videos that tell the story of something that happened to real students who attended school at Wakefield High. Besides funding for the video projects, proceeds from the 5K race also pay for speakers and various activities planned during the school year to help encourage students to make the right choices. Scholarships are awarded to graduating seniors in the spring. The roads will NOT be closed for this event, and in order to ensure the safety of all athletes and volunteers, the time limit for the half marathon is 3:15. This is approximately a 15 min. pace and will have all participants back at Wakefield High School by 10:45am. Any runners on the half marathon course after 10:45 am, may be picked up by one of the SAG wagons and taken back to the start/finish line area. 5K: The top 3 male and female overall, top 3 masters male and female, and the top three finishers in each of the following age groups: 8 and under; 9-11; 12-14, 15-19, 20-24, 25-29, 30-34, 35-39, 40-44, 45-49, 50-54, 55-59, 60-64, 65-69, and 70-over. 10K: The top 3 male and female overall, top 3 masters male and female, and the top three finishers in each of the following age groups: 14-under, 15-19, 20-24, 25-29, 30-34, 35-39, 40-44, 45-49, 50-54, 55-59, 60-64, 65-69, and 70-over. Half Marathon: The top 3 male and female overall, top 3 masters male and female, and top 3 finishers in each of the following age groups: 14-under, 15-19, 20-24, 25-29, 30-34, 35-39, 40-44, 45-49, 50-54, 55-59, 60-64, 65-69, and 70-over. 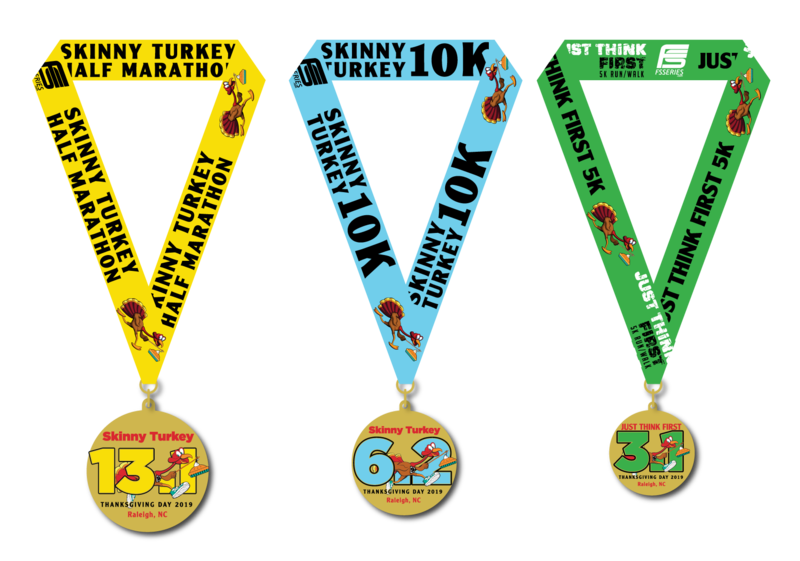 We have Skinny Turkey Pacers to help bring the Half Marathoners to the finish line at their goal time. Line up behind the pacer holding your pace: 1:45; 2:00; 2:15; 2:30; 2:45; 3:00. Awards include Sprouts gift cards!